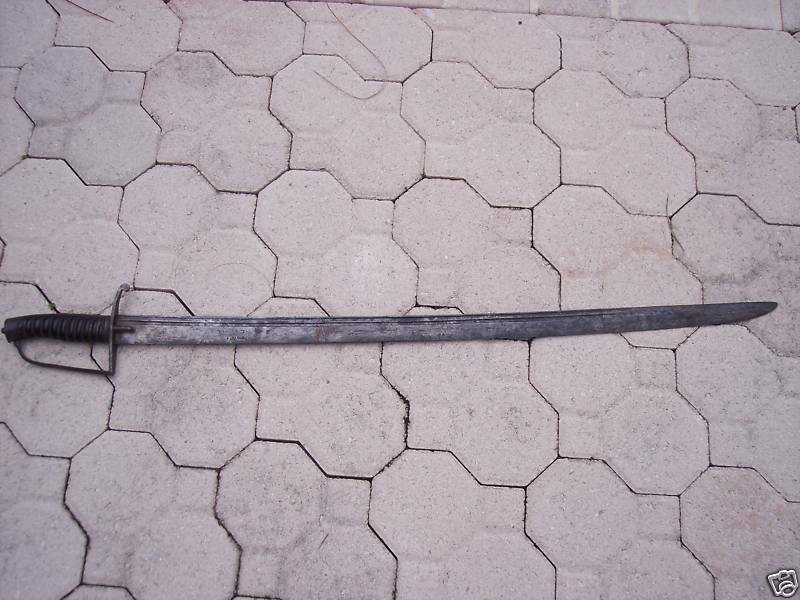 Posted: Sat 29 Jan, 2011 5:24 pm Post subject: Show Us Your 18th century swords! 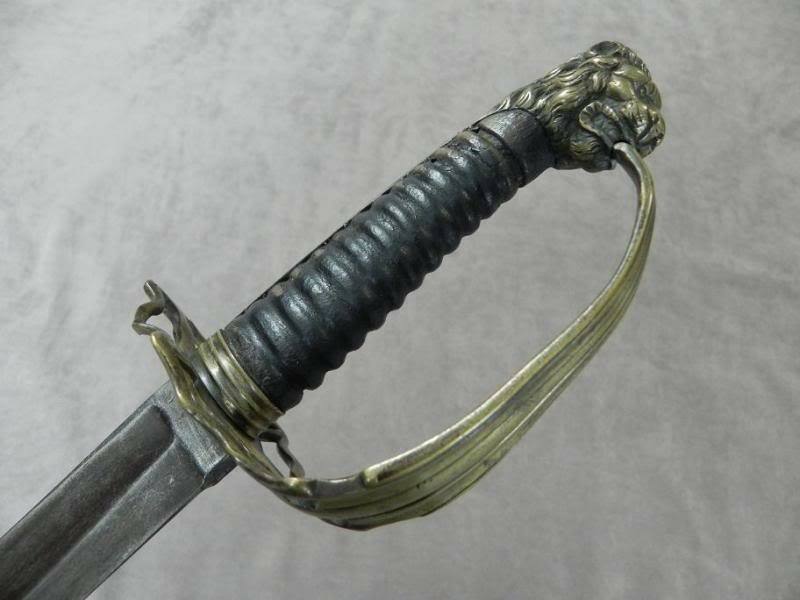 During a recent thread on Don's excellent Pillow/Sash Sword http://www.myArmoury.com/talk/viewtopic.php?t=21992 it was tossed about that there are some of us who would like to see a thread with later period swords such as very late 17th century and 18th century swords. We don't see as much as we would like on M.A.com so after some bandying about, I am starting one. 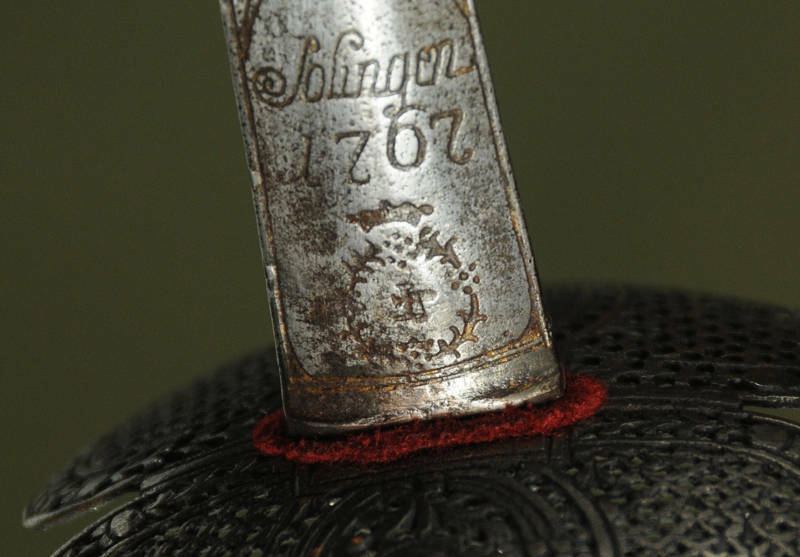 I thought it would be nice to see antiques and practical repros of swords from 1680 to 1790's. 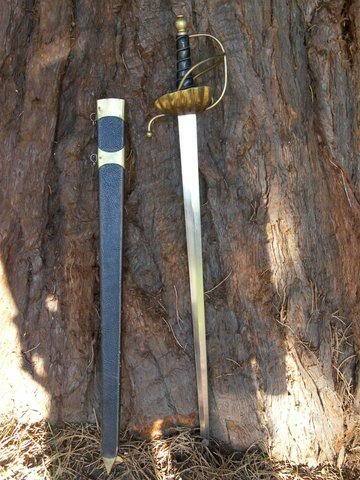 Here are my first contributions; a nice fat bladed smallsword from the 1680's that I really enjoy and a custom Cut and Thrust modeled after a Dutch hanger from about the 1740's that I had made in the early 1990's by Sir Blackhand. A pair of ebony hafted 1788 types. The sabre lost part of its counterguard at some point. I collected these as a pair from another collector. The spadroon is quite a wicked sharp black beauty. 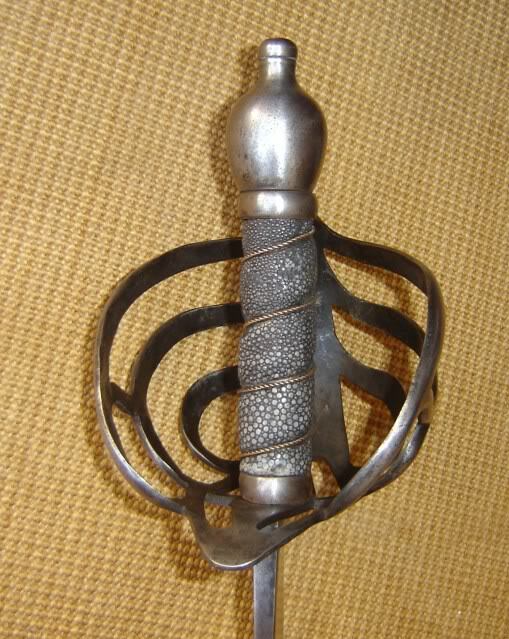 Earlier than that is a 1750ish hussar from possibly Scandinavia but the blade of German work. Jeff Forgeng of the Higgins puzzled a bit about this one but was inclined to think Scandinavia. 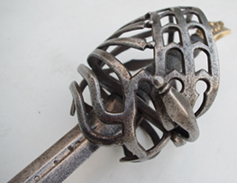 Between the two timelines is my first collected spadroon, a slotted hilt of the forth quarter of the 18th century. An early compilation of sorts. 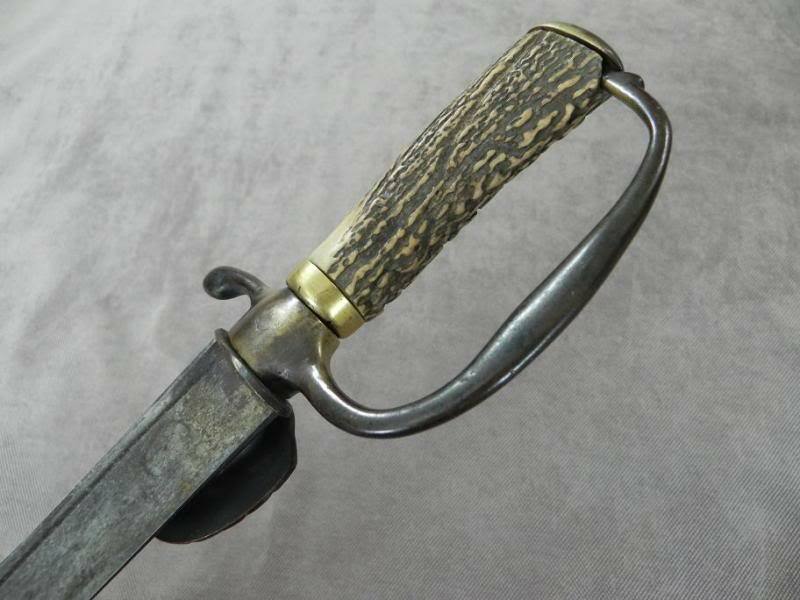 The blade likely a bit later than the hilt which fits with the mid/late 18th century. 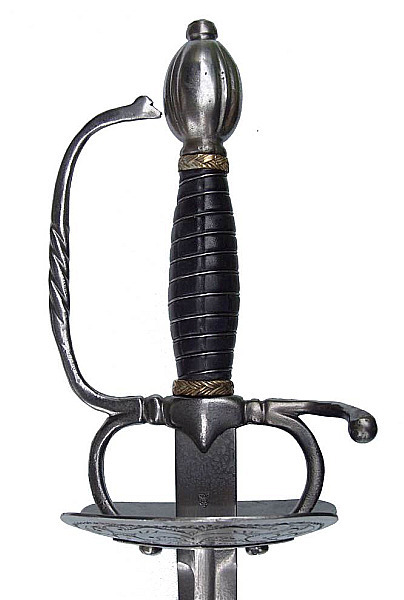 It is a cast steel blade roughly the US pattern of the nco swords of the Rose examples. 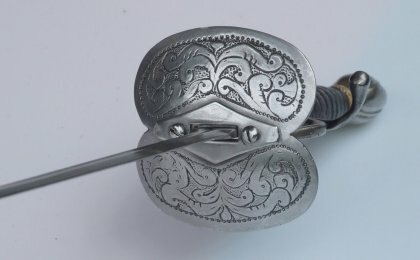 A turn of the century spadroon possibly cutlered in America and some before/after work I had done in progress of adding silver back to the hilt parts. The scabbard has also been treated and quite supple once more (not shown as rejuvenated here but in other spadroon threads). the grip has soaked up a lot of natural oil as well. One more for now, another 1788 type. This one from Wooley. Did I mention I like spadroons? The earlier ones are in the center and shown in the pics above. 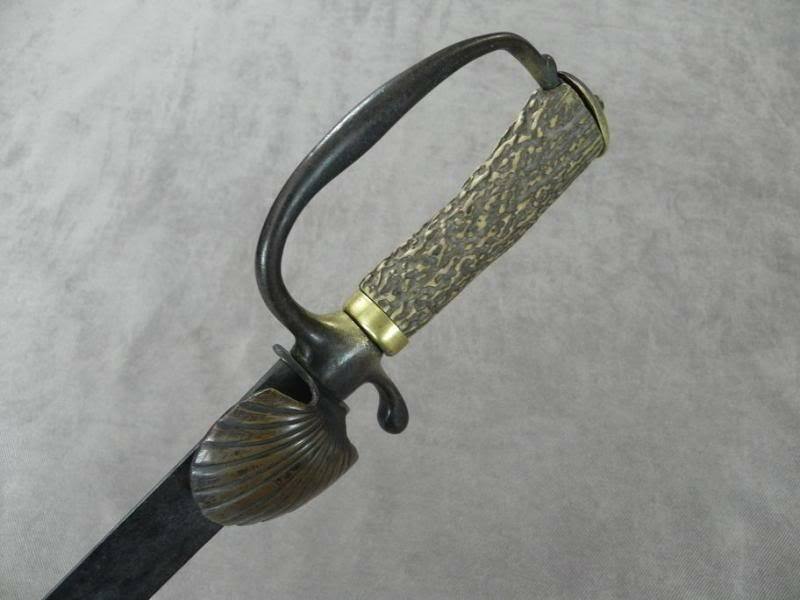 You can see the scabbard took a lot of rich dark color in using Pecards leather dressing. Both the antique formula and the black and brown supplementary dressings. The Silver added to the decorated blade one is a pproduct named Silver Secret.. While meant for touching up plate, vigorous and many goes at it does produce a real silver skin. Bare brass and copper needs perseverance to get it really covered well. No originals, but here are two recreations. 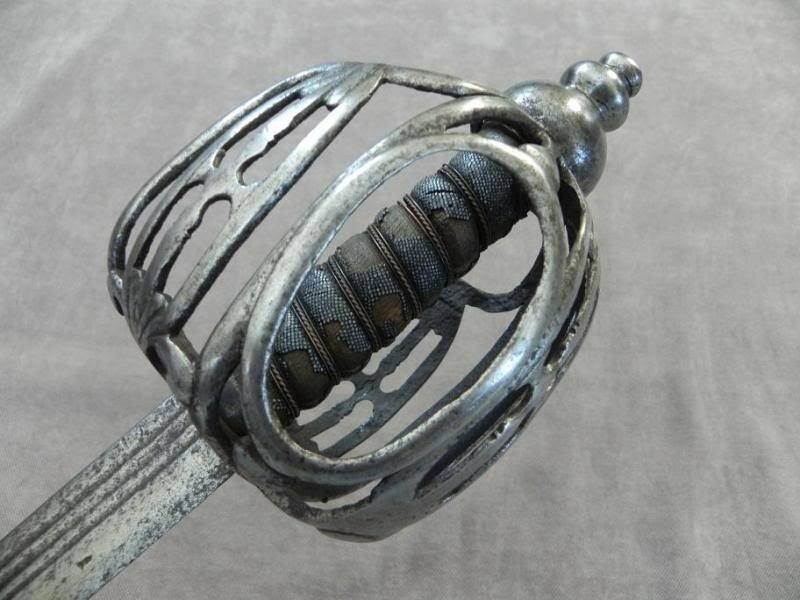 DT5182 from Del Tin, a mid 18th century transitional rapier. I think I like the NCO compilation the best, I remember liking it last time I saw it as well. Love the Military sword. Fantastic! Being a lefty I apprieciate symetrical guards. 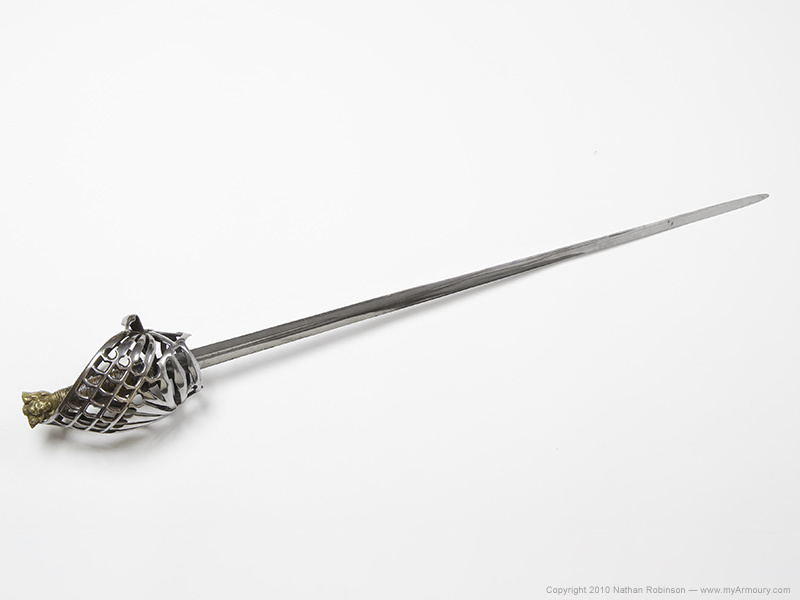 And just so you know, Transition Rapiers are my favorite kind of sword. Probably why I like french infantry NCO swords and Officer swords. they are pretty much transition rapiers with smallsword hilts. I also have a custom Trans. Rapier that I will try to get pics of asap and post as well. Tell me all about the Del Tin. Whats the weight and balance like?? Two hunting swords top one is 22 inches overall with ray skin grip the blade as old as it is is razor sharp. 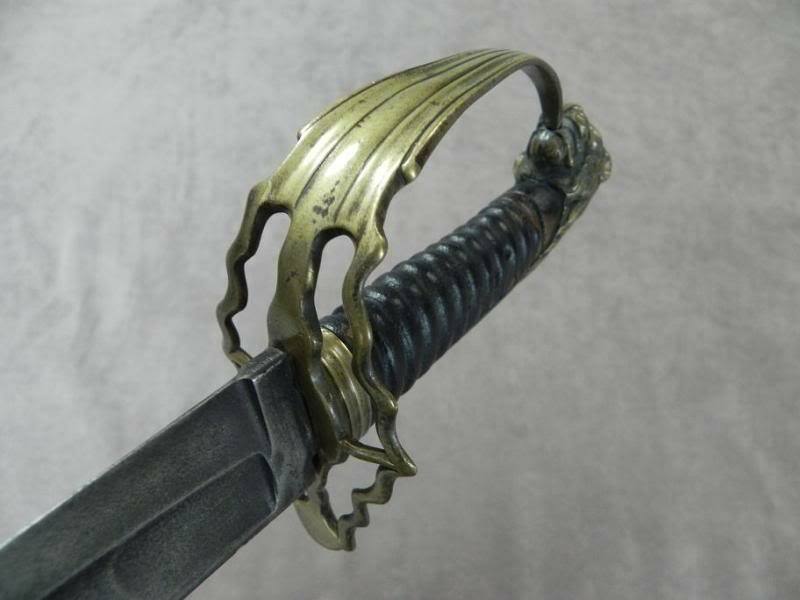 This is an example from my shop, a steel hilt small sword with colichimard blade. 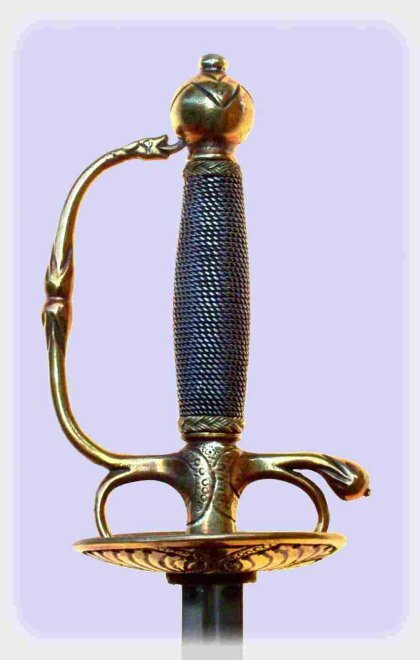 The hilt is from castings by "The Rifle Shoppe" It is a good reproduction of an early 18th century small sword. I love that P1788 HC sword. I have always wanted one and yours is a very nice example. 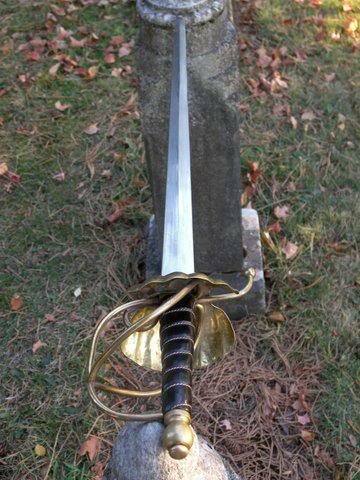 Great Dragoon Sword Jonathan. 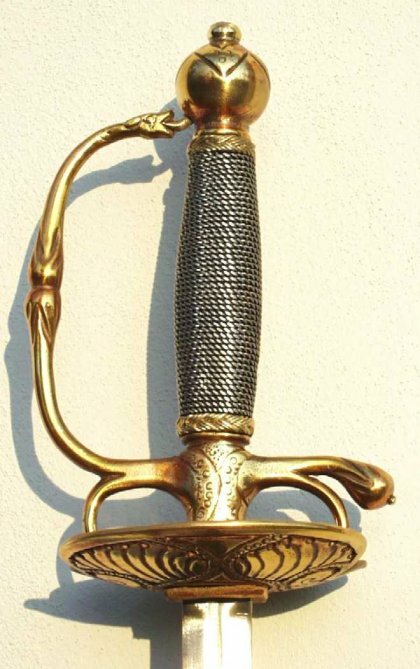 I would love to see one of those brass hilted straight cavalry swords from the 1690s Marlborough era sometime. Maybe we will! 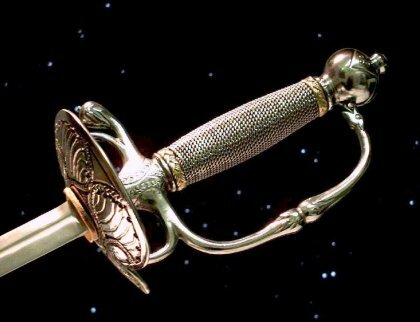 Here is my pieced hilt smallsword dated 1767. It has a 32 inch Solingen blade (not exactly small) which is engraved all the way to the tip. There are still traces of gold-wash in the engravings. When the sun hits, they light up nicely. It has a great balance and the last inch at the tip is still wicked sharp! And an antique schiavona. 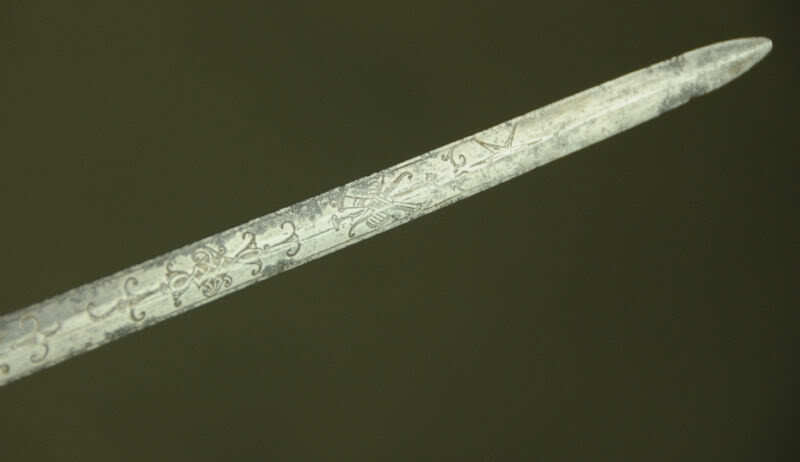 Hilt is likely early 18th century, whereas the blade may be mid-17th. That 1730's weapon is great! 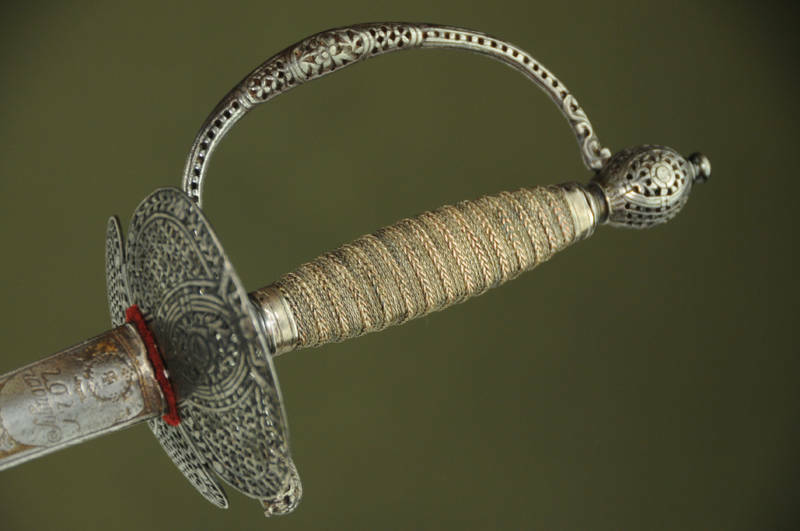 Small swords from the first half of the 18th century are my favorite, I like how the pas de an's are still full and functional. And often the hollowground blades are wider than later in the century. I do love seeing that sword, Todd. I'm very jealous. 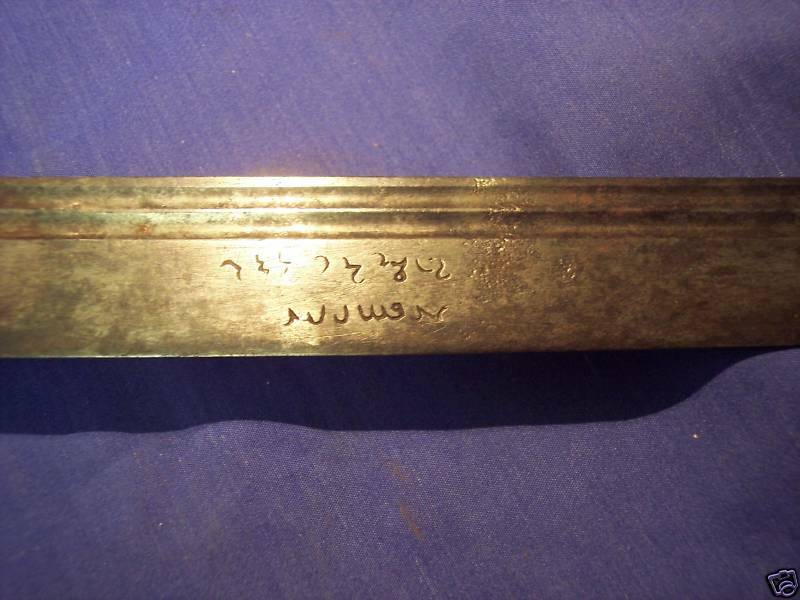 Here is a schiavona, dating to the mid to late eighteenth century. Nathan, Jonathan and Todd have shown us some nice military basket hilt swords. Sweet! (as they say). Most of my 18th cen. swords are light cut and thrusts and smallswords. Except for the Dutch hanger I showed earlier. The only heavy weight sword I have is a British Hanger. You would think its a very light sword but it is balanced like a cleaver and has a horseman sword feel to it, even though the blade is only about 30 inches. Interestingly, it has some talismanic writing on the sword that seems like a bit of alchemical and astrological symboligy. During the "age of reason" people were more willing to express there "esoteric" interests without as much fear of persecution. Here is a M.A.com review of a European hanger by Vince Evans. I'm a terrible photographer so I have no antique pictures (yet) but here are two of my reproductions from A&A. Thats an interesting flamberge, tell me more about it. 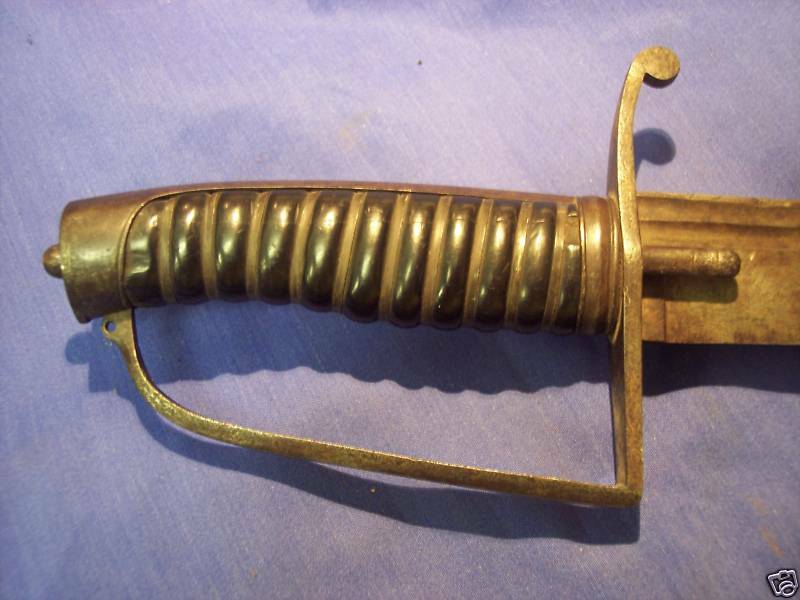 Also a very nice AA smallsword. Nice blackened hilt. I'm sure it handles great. I would have answered your question on that thread, but it had progressed far enough so that my answer would be off topic. 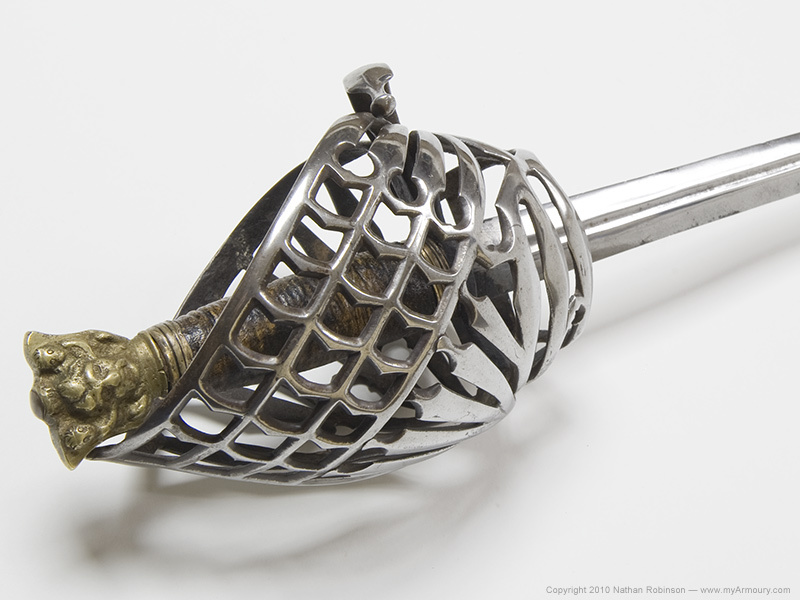 I have mixed feelings about the transitional rapier, DT5182. 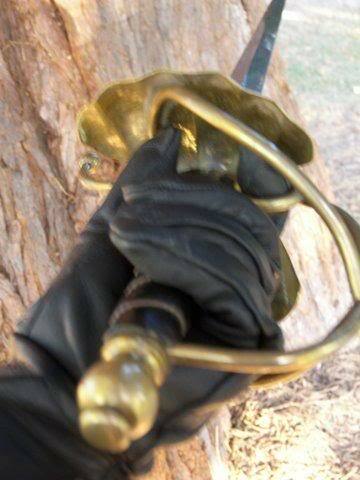 Part of it is that the hilt is not a good fit for my hand, which is broad and short fingered. Longer fingers might work better with this sword. The hilt design seems too long for me. 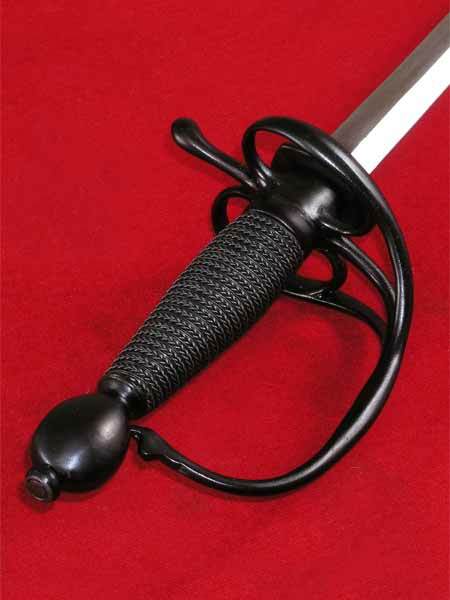 The arms of the hilt length from guard to ecusson is 1.75 inches. 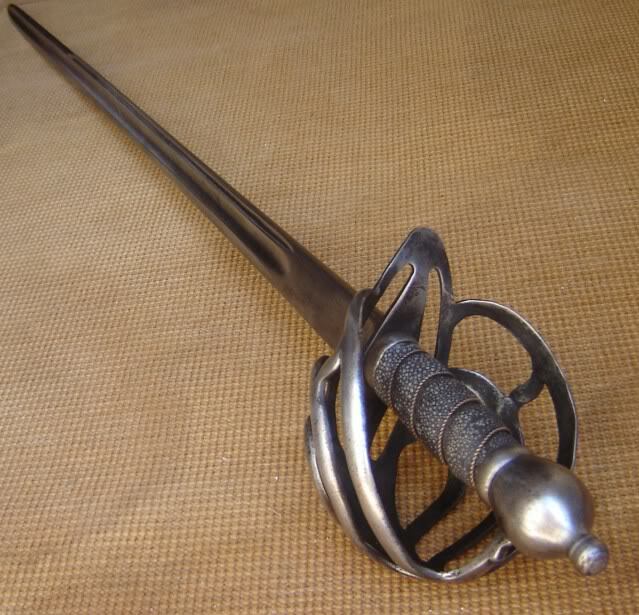 I also find this hilt kind of slippery, especially around the ecusson. Wearing gloves solves some of these problems. The dimensions for the rapier over at KOA are accurate. It has a good stilff blade. It doesn't handle like a smallsword (like the Arms and Armor version, which I highly recommend) It has a heavier presence, but is still quite maneueverable. It is like most Del Tins - good, but it could have been a lot better. I'm sure that your custom rapier is of much higher quality. Interesting. 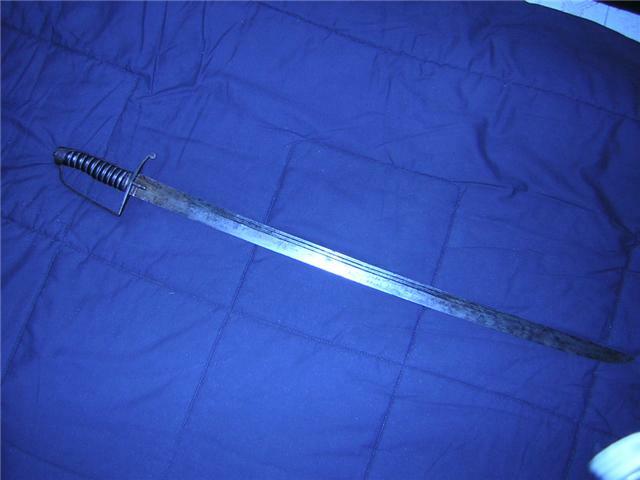 I have an old schlaeger blade on a steel transition rapier hilt. It too is is built on a bit of an oversize scale. I have to hold it french style and not use the pas de an's at all. In my opinion a trans. 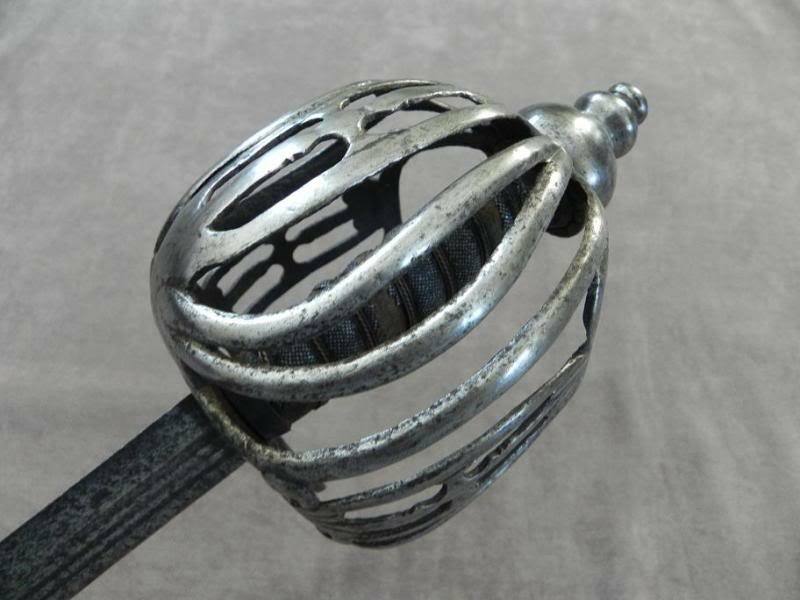 rapier hilt should just be a little bigger than a smallsword hilt with a symetrical hilt that offers better hand protection. Like a military smallsword hilt. As a matter of fact. 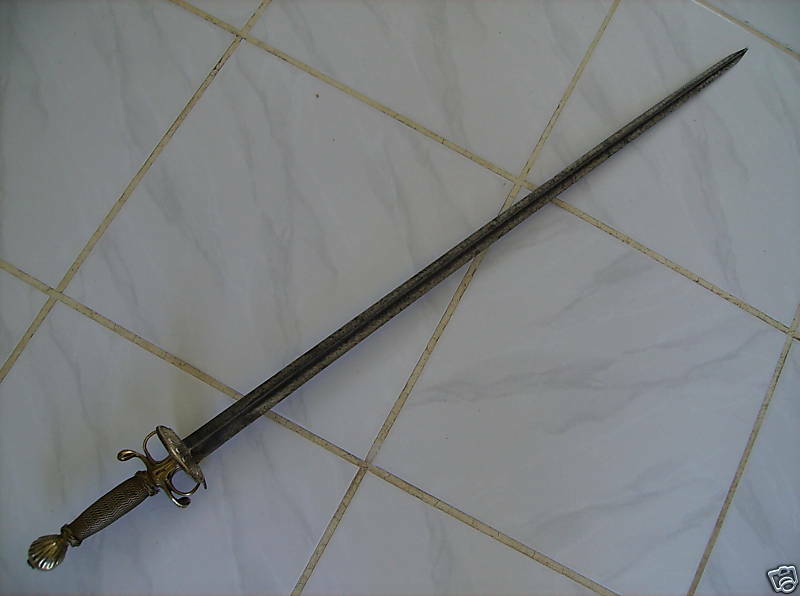 Here are the pics of the Del-Tin Smallsword, which really looks to me like another transition rapier. 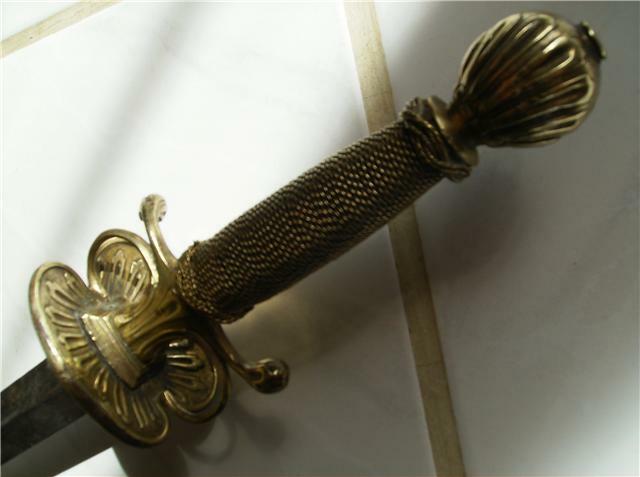 Its the one with the brass hilt. Thanks Morgan. Both of those were A&A projects. 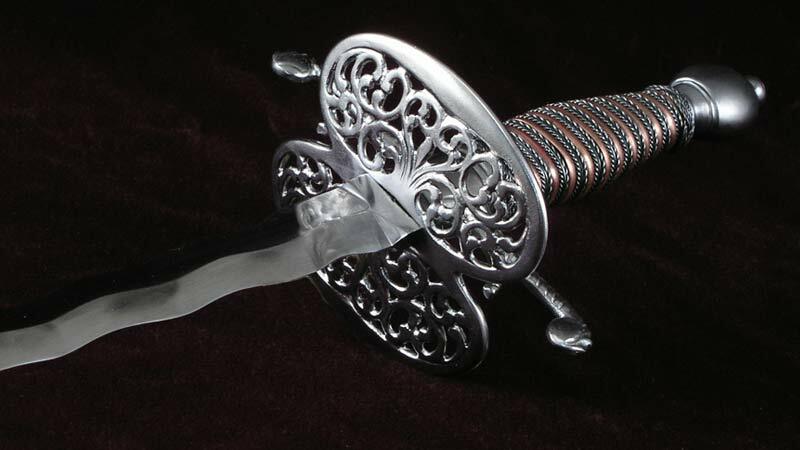 The flamberge is an amalgam of two historical smallswords. There were several pieces of what I believe were english that I had seen with plates similar to this one dating from the mid to late 1700s if I recall, some without knuckle guards (an aesthetic style I've come to like recently). The flamberge styled blade as you know is rare but found on several pieces as well. Whether they were actually cut down rapier blades or crafted originally for small swords I'm not sure. I believe Stephen Fisher has some actually in his album on this very site. Regardless I basically asked Craig to combine the blade style with one of my favorite hilts and there you go. Craig wrote on the A&A site that the guard is italian though those weren't the pieces I based it off of. On review of some pictures there are several italian pieces that carry similar patterns as well (though far more ornate at times). Both swords handle very well. The flamberge feels as if it has slightly more blade presence than the double loop hilt because the point of balance is about half an inch further out and the blade is slightly longer (30 inches vs 29) though both weigh in at a hair over one pound on my scale.